Applying for a Commercial Mortgage Loan sometimes requires a lot of paper work. 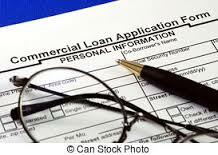 If you want the best Commercial Mortgage Rate you would do well to have your ducks in a row. To simplify the process, we've compiled a list of items you'll need to bring with you to the mortgage application interview. Depending upon your circumstances, you may need to bring additional documents with you, so please don't hesitate to call us if you have any questions about the application process.